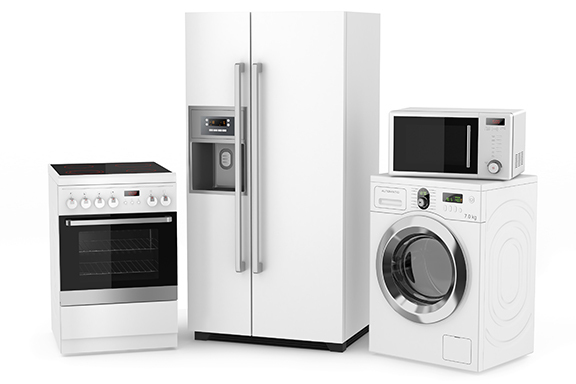 For appliance repair in Medford, MA that people have relied on for more than 50 years, call Edgeworth Appliance today. Since 1962, our company has built a reputation for quality customer service that residents throughout greater Medford Massachusetts and beyond have come to expect and trust. We promise service that will last, offering a 100% guarantee on all our labor and a six-month warranty on all parts, which is twice what manufacturers offer. ​Does your laundry machine seem to just keep breaking? Are you unsure about whether you should fix it again or just buy a new one? We can help. With decades of experience behind us, Edgeworth Appliance provides answers to any and all appliance repair questions, including whether or not a repair will be worth it. To schedule an appointment for appliance repair in Medford, MA or the surrounding area, call (781) 322-2953 and ask for David.